Excerpted from WND: Hillary Clinton’s chief-of-staff, Huma Abedin, worked on the editorial board of a Saudi-financed Islamic think tank alongside a Muslim extremist accused of financing al-Qaida fronts. The extremist, Abdullah Omar Naseef, is deeply connected to the Abedin family. Naseef is secretary-general of the Muslim World League, an Islamic charity known to have spawned terrorist groups, including one declared by the U.S. government to be an official al-Qaida front. 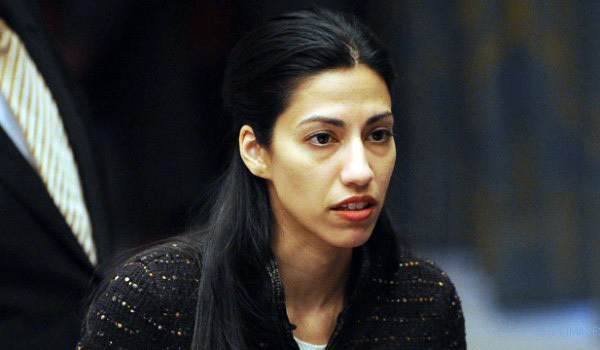 Democrat and Republican lawmakers have rallied to Huma Abedin’s defense since five GOP Congress members, led by Rep. Michele Bachmann of Minnesota, sent letters last month to the inspector generals at the departments of Homeland Security, Justice and State asking that they investigate Muslim Brotherhood influence on U.S. government officials. Also, Huma’s father, Professor Syed Abedin, was the founder of the Institute for Minority Affairs, a Saudi group that reportedly had the quiet, but active, support of Naseef. Saleha is currently the editor of the Journal of Muslim Minority Affairs, the publication of Syed’s Institute. Now it has emerged that Huma served on the Journal of Muslim Minority Affairs’s editorial board from 2002 to 2008. Documents obtained by author Walid Shoebat reveal that Naseef served on the board with Huma from at least December 2002 to December 2003.